In January of 1970 The Beatles recorded their last song together. Around the same time radio stations were getting very serious about their new favorite band, a group of guys from the San Francisco area called Creedence Clearwater Revival who had just released their third album, “Willie and the Poor Boys” in November 1969 . Like the Beatles, CCR took inspiration from early rock n’ roll pioneers like Elvis Presley and Little Richard and cultivated a unique perspective on popular music – playing a creative “roots rock” style long before anyone even thought of using those two words together. In a period of less than four years CCR had nine songs in the top ten and eight gold albums. All the more amazing when you consider that CCR was under the direction of one man, their singer, lead guitar player and chief songwriter John Fogerty. John Fogerty was born in Berkley, California in 1945. He bought his first guitar, a Silvertone, from Sears, along with a five-watt amplifier with eighty dollars he’d earned on his paper route. In the late 1950s he joined a band called The Blue Velvets with his older brother Tom on guitar and school mates Doug Clifford and Stu Cook on drums and bass. Originally it was the elder Fogerty’s band, but while Tom could sing he admittedly didn’t have as distinct a sound as his younger brother. The elder Fogerty brother eventually switched to rhythm guitar and John took over singing and fronting the band. In 1965 the group was signed to Fantasy Records, an independent jazz label based in San Francisco. At the direction of the record company they changed their name from The Blue Velvets to The Golliwogs. They suffered an early setback when both John Fogerty and Doug Clifford were called up by the draft board in 1966. Fogerty enlisted in the Army Reserve and Clifford served in the Coast Guard Reserve. Both were discharged in 1967 and all members of the group quit their jobs to play music fulltime. In 1967 Fantasy Records was purchased by Saul Zaentz (remember his name for later). He offered the band a chance to record a full-length album if they changed their name. The first thing name they came up with was Creedence Clearwater Revival and it stuck. In July of 1968 they released their self-titled first album. Their first album was a mixture of new songs (“Gloomy”), a pair of Golliwog leftovers (“Porterville,” “Walk On The Water”) and a trio of nifty covers (“I Put A Spell on You,” “Ninety-Nine and a Half (Won’t Do)” and “Suzie Q”). The band had been playing “Suzie Q” live for years and, quite ironically, their unfashionable mix of psychedelia and R&B introduced them to a much larger audience. Radio stations in San Francisco and Chicago began giving the song a lot of airplay. Other stations around the country picked up on it and CCR’s had their first Top 40 hit. Their follow up album “Bayou Country,” released in January 1969, included the group’s biggest hit. “Proud Mary” tells the story of someone leaving a good job in the city for a life of freedom on the river. It’s a timeless bit of storytelling that seamlessly fits into the hook of a three minute song. It may be the most characteristic of CCR songs in its fusing of genres, notably rock and roll, blues, gospel and soul. Fogerty has said the guitar solo, a deft blend of rhythmic partial chords and simple, sing-able single note lines, was influenced by the work of Steve Cropper of Booker T & the MG’s. Every song on “Bayou Country,” from the moody swamp-rock opener “Born on the Bayou” to the almost eight-minute long “Keep On Chooglin'” that closes the disc, showcases a band that had found its signature sound. And except for an unrestrained cover of Little Richard’s “Good Golly Miss Molly,” John Fogerty had penned each number. The world wanted more from CCR and only had to wait seven months for the group’s third album. 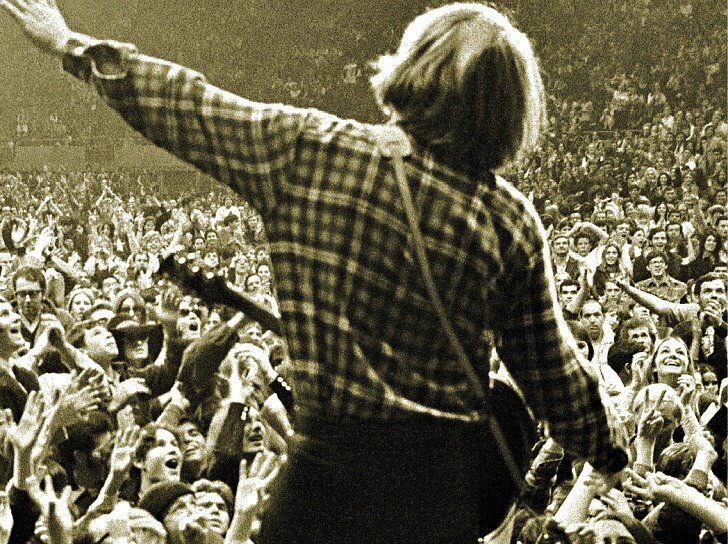 “Green River” came packed with deceptively simple sounding songs like “Bad Moon Rising,” “Green River,” and the tired story of a burnt out traveling singer still stuck in “Lodi.” Fogerty would say in later interviews that he’d never even been to the town (about seventy miles from his childhood home of Berkeley) but picked it because of its cool sounding name. That same year CCR played at the infamous Woodstock concert. Their performance is conspicuously absent from the film of the concert. Fogerty felt their performance was sub-par owing to the fact that they didn’t start playing until three a.m. after the Grateful Dead finished an epic jam set. By this time many people in the audience had already gone to sleep. The band still had plenty of fire in them though. They toured incessantly for the next two years and released three more albums: “Willie and the Poor Boys” (November, 1969), “Cosmo’s Factory” (July 1970) and “Pendulum” (December 1970). Fogerty’s song about Woodstock, “Who’ll Stop the Rain,” as well as “Down on the Corner,” “Fortunate Soon,” “Up Around the Bend,” “Travelin Band,” “Run Through the Jungle” and “Have You Ever Seen the Rain” all became both huge hit singles and classic rock standards that are played to this day. In fact, it’s hard not to include the B side of “Cosmo’s Factory” – “Up Around the Bend,” “My Baby Left Me” (a cover from venerable blues legend Arthur Crudup – who also wrote “That’s All Right”), “Who’ll Stop the Rain,” “I Heard It Through the Grapevine” and “Long as I Can See the Light” in any list of “must hear” album sides. It’s no wonder that “Cosmo’s Factory” reached Number 11 in the Soul Charts! But while success greeted CCR on both the charts and on tours, tensions within in the band led to the departure of Tom Fogerty in 1971. The remaining members made an album that included more contributions from Doug Clifford and Stu Cook. “Mardis Gras” was released in 1972 and, despite containing one of the group’s most powerful songs (“Someday Never Comes”), the album was easily the band’s most disappointing work both in terms of reviews and commercial acceptance. It was to be their final album together. After two years of ruling the charts the band was finished. Fogerty’s first solo outing was an album of country covers in 1973. “The Blue Ridge Rangers” was a true solo effort with Fogerty playing all the instruments himself. In 1975 he released his first solo album of rock music simply called “John Fogerty.” It’s in a similar vein to CCR with some excellent new songs and a few carefully chosen covers. Of particular note is the album opener “Rockin’ All Over the World.” The song was covered with much success by the British band Status Quo, becoming their biggest hit. They played it as the opening song for the 1985 Live Aid concert in London. Touring in support of his solo album, Fogerty refused to include Creedence songs in his set. Unable to write new songs he didn’t release another album until 1985’s “Centerfield.” The album was Fogerty’s biggest post-CCR success owing to its familiar rock sound and unapologetic rancor. It’s a true return to form, with Fogerty playing all the instruments. The album is not without controversy. In order to get out of his contract with Fantasy Records in the early seventies, Fogerty signed away the rights to all his CCR songs. This freed him to launch a solo career on Asylum Records and wound up starting one of the longest running legal disputes in rock history. Fogerty often objected to the misuse of CCR songs to sell anything from cars, to blue jeans and even paint thinner. There was plenty of acrimony between Fogerty and Fantasy Records owner Saul Zaentz. Two songs on “Centerfield” are apparent attacks on the Zaentz’s character. “Mr. Greed” disparages someone who will do anything for money, and “Vanz Kant Dance” includes the not so subtle line “Vanz can’t dance but he’ll steal your money.” The song was originally called “Zanz Can’t Dance” before a defamation lawsuit forced Fogerty to change the name. Fantasy Records also sued Fogerty over the song “The Old Man Is Down The Road.” They argued that Fogerty plagiarized his own song “Run Through the Jungle,” a song which Fantasy owned exclusive rights to. Fogerty prevailed in court by bringing his guitar to the witness stand and playing excerpts from both songs. He successfully demonstrated to the court how some songwriters have distinctive styles that make different compositions sound similar. Fogarty was awarded his legal fees several years later through the Supreme Court decision Fogerty v. Fantasy. Fogerty never lost that touch. His 2004 CD, “Déjà Vu (All Over Again)” contains ten songs full of comic and candid and even acidic commentary and still clocks in under thirty-five minutes. In 2005 he was inducted into the Songwriters’ Hall of Fame, the same year as his inspiration, Steve Cropper. In 2009 Fogerty released “The Blue Ridge Rangers Rides Again.” When touring these days he includes both Creedence songs and hits from his solo career. 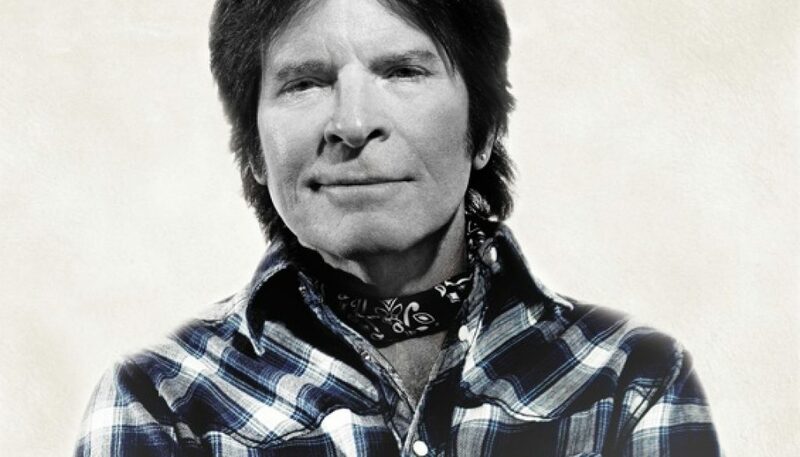 In May 2013, Fogerty turned 68, and released “Wrote A Song for Everyone,” which includes collaborations with Foo Fighters, Zac Brown Band, Bob Seger, Keith Urban and other superstars from pop and country. Rolling Stone magazine gave the album five stars. This is a great article to sum everything up. Live, John Fogerty still acts like a 30-year old. He is ageless, and a treasure. I’m glad you enjoyed this write-up. John Fogerty is my go to artist when I just want to hear some good rock music. “The Long Road Home” DVD captures his live energy really well. I hope he keeps rocking out for a long time to come.